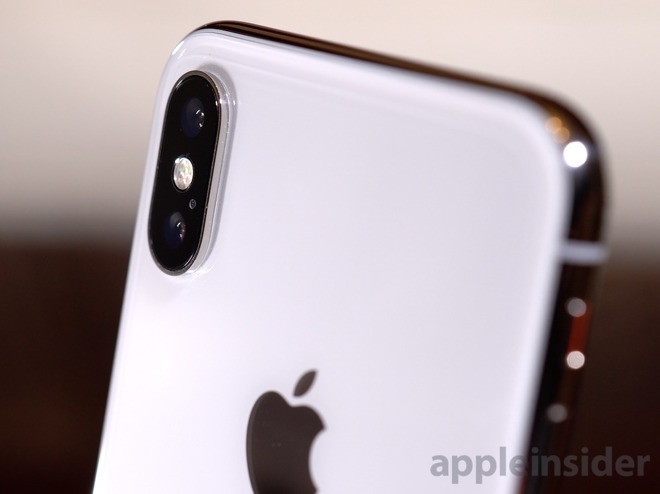 Despite analyst guesses to the contrary, Apple will likely retain the all-plastic lens stack implemented in iPhone X as a basis for its 2018 iPhone product line, according to well-connected analyst Ming-Chi Kuo. In a note to investors on Thursday, Kuo said he disagrees with market speculation that Apple plans to integrate a 7P (seven-lens plastic lens array) or a 2G3P (two glass, three plastic lens) hybrid design into iPhone's rear-facing camera module in 2018. Currently, iPhone X, the company's most advanced camera platform, relies on a 6P lens design. "With its rear camera specs, iPhone X has managed to strike a phenomenal balance between picture quality and form factor design, in our opinion, given how far we've come today technologically," Kuo writes. "Switching from a 6P lens to a 7P lens or a 2G3P hybrid lens, with camera module design largely similar to iPhone X's, would make for only limited improvements in aperture performance, we believe." Further, a transition to new 7P or hybrid lens technology would place undue risk on 2018 iPhone supply. Kuo in previous notes said Apple intends to avoid making manufacturing decisions that could lead to a repeat of this year's supply-constrained iPhone X launch. First debuted in iPhone 7 Plus, the unique dual-lens design — one wide angle and one "telephoto" module — has allowed Apple to enhance the platform's picture taking capabilities. The new iPhone 8 Plus improves on the initial design with an updated sensor module with deeper pixels. The top-of-the-line iPhone X integrates a wide angle camera with an f/2.4 aperture, faster than the f/2.8 aperture found on the 8 Plus. For the first time, optical image stabilization is available for both wide angle and telephoto cameras, providing superior low-light performance across an expansive optical zoom range. In our iPhone X review, we found the new handset's rear shooter to achieve noticeably brighter shots in dimly out scenes, while the OIS helped steady otherwise shaky video. If Apple decides to stick with the 6P design, competitors of Apple supplier Largan will likely see slightly increased market share, Kuo says. The shift is not expected to greatly impact Largan's leading market position, as the company boasts the world's largest lens capacity, giving it pricing flexibility and leeway to innovate toward 7P and hybrid lens designs.